Between the wind and the dropping temperature, I am feeling the approach of winter. Going home in the dark doesn't help either. Fortunately, I had picked up beef cubes for stewing. Yes, I still had all the needed veggies and potatoes from the CSA. Except for peas, which I purchases frozen from the supermarket. 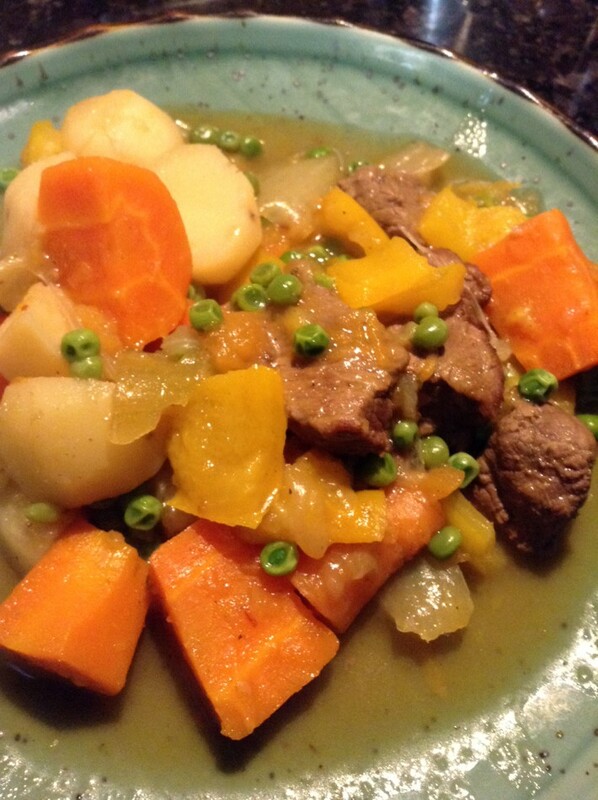 Ah, stew, the perfect cold-weather comfort food. Farm-fresh veggies include potatoes, garlic, onion, carrots, yellow bell pepper, and pumpkin. You probably can't see the pumpkin, as I mixed in the last of my pumpkin mash. I'm looking forward to left-over stew. Stew often tastes better the next day. For dessert, I enjoyed pumpkin pudding. This is my new favourite autumn dessert.